Date (Phoenix dactylifera L.) fruit is one of the nutritious foods. Barhi date fruits are an important variety in Qassim region, Kingdom of Saudi Arabia. The objective of this study was to extend shelf-life of Barhi date fruits by applying different thermal treatments at 100 or 121°C for 5, 10 and 15 min with storage at room temperature for 0, 5 and 10 months. 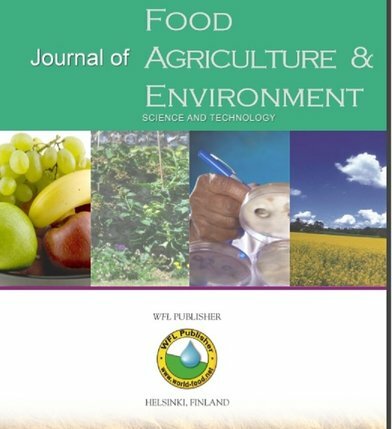 The impact of different heat treatments on color attributes, texture, phenolic compounds, microbiological criteria and sensory properties of Barhi date fruits was studied. It could be noticed that no significant difference was found in lightness of canned Barhi date fruits between selected treatments, while with increase of storage periods, lightness was significantly decreased. Texture of the fruits was significantly increased during storage up to 10 months and with increase of thermal treatment times from 5 to 15 min which recorded 1.43 and 1.76 kg cm-2, respectively. Total phenols of canned Barhi date fruits had significant increase from 35.66 to 41.18 mg GAE g-1 with increase of the thermal treatment time from 5 to 15 min, respectively. The total bacterial count (log of survival number) as mesophilic bacteria was less than one (< 1) during first five and 10 months of storage. Thermophilic bacteria count was 1.85, 1.70 and 1.48 log cfu/g during 0, 5 and 10 months of storage period at 25 ± 2°C, respectively. Coliform groups as well as yeast and molds were absent during the storage period. Therefore, these thermal treatments could be more effective to prolong the shelf life of canned Barhi dates without any deterioration in its quality properties. The canned Bahri date containing 40% sugar treated at 100°C for 10 min had the highest average scores for aroma, texture, appearance, color and overall acceptability. Finally, it could be concluded that the best thermal treatment keeping sensory date fruits quality was 100°C for 10 min and prolonged the shelf life of canned Barhi dates without any deterioration in quality properties when compared to other studied treatments.